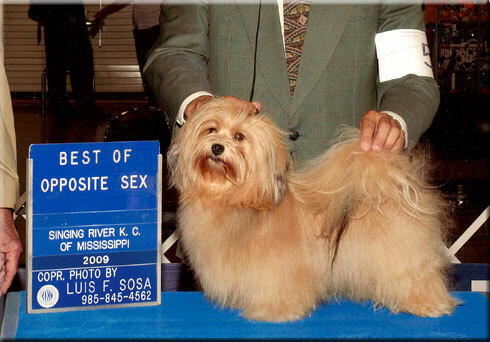 RiverHill is proud to present our wonderful Havanese dogs. 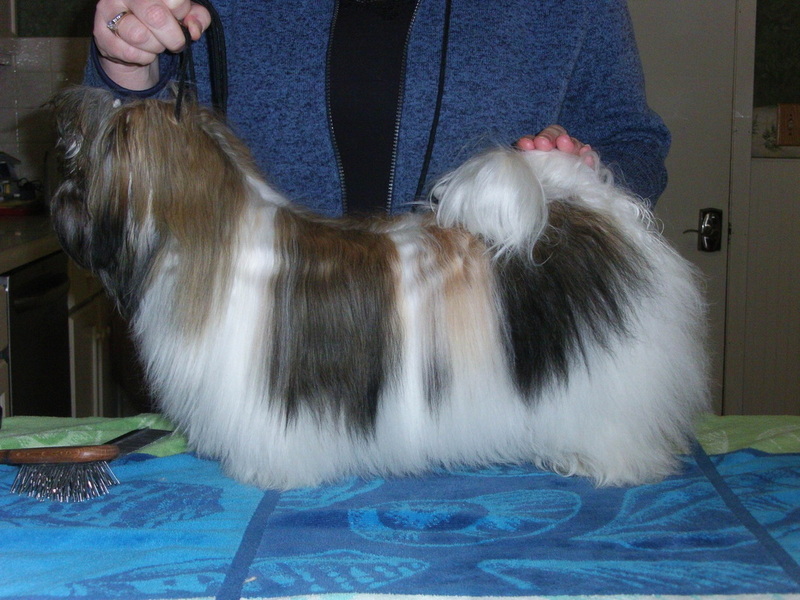 Our main focus is to raise the healthiest most beautiful Havanese available who are well socialized, have wonderful temperaments and grow up to be outstanding adults who exemplifies what a Havanese should be. 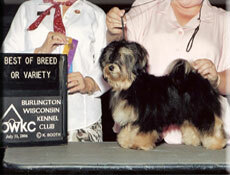 Reese is our newest AKC champion. He finished his championship in 5 weekends. Reese has it all, the gorgeous coat, flowing movement, a handsome face and the sweetest personality. He captures the heart of everyone he meets. 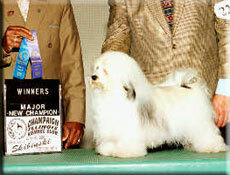 Reese was shown to his championship by Harry Bennett who did a fabulous job with him. Java is our newest addition and we feel so honored that we were allowed to own this wonderful boy. He is so correct and has movement to die for. Click HERE for Java's VetGen DNA test for the short hair gene to see that it was negative. 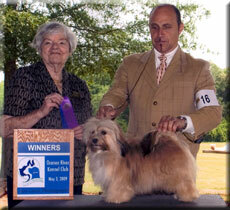 These are some of our retired Havanese that have been placed in loving forever homes. They will always be a part of our family and our hearts. We are so proud of our newest girl Gemma. She has the funniest personality and loves to be the center of attention. Gemma was shown by Harry Bennett who is did a fantastic job with her. We couldn't be prouder of Gemma. Genie is our newest girl that is out showing right now. I waited many years for this pretty girl and I am so excited about her. Genie is out of our very own Iwo. This is a picture of her at 9 months old with coat to the ground. Missy is a love bug and such a pretty girl. I love the way this girl is put together and she moves so beautiful. When I first saw Tink I said she was just a little tink of a thing. Well the name stuck but you know what they say about big things coming in small packages…… well that fits Tink to a T. Tink is the silliest dog I've ever seen. She has such an explosive personality that you can't help but laugh at her antics. Mya is my first bred by puppy that I kept. She was so fantastic that I just couldn't part with her and I have never regretted it. She turned out to be everything I had hoped and more. Mya is the clown of the house and my oldest daughter's best friend. I waited a long time for my baby Jewel and she just that....... a complete Jewel. She has the sweetest personality and has captured our hearts. 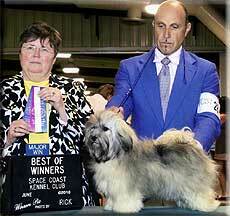 Jewel was shown to her championship by Harry Bennett who did a fabulous job with her. 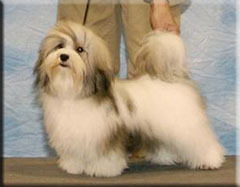 Mea was the result of a co-breeding between my good friend Nona Dietrich of Gingerbred Havanese and myself. I can’t thank Nona enough for letting Mea come live with us. Mea has stolen my heart and became spoiled mama's baby.